The future is coming!!! And you can reach it now. 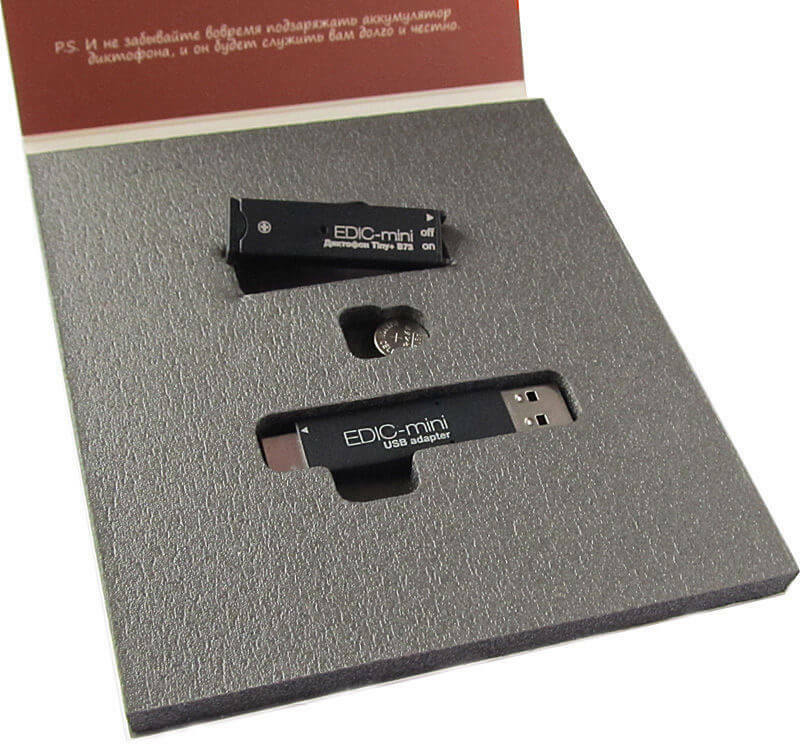 This is new super EDIC-Mini Tiny+ B73 150 hours the smallest voice recorder in the worldwith the top-quality recording. You will be surprised, when you take it, as it is the size and weight of a coin. This recorder is, in fact even smaller, than its predecessors - the Guinness World Records winners: its size is only 6x14x46mm, with the weight of 7 grams. In same time it has an outstanding technical characteristics and used for covert professional voice recording. With this gadget you can surprise Everybody. And give unforgettable present to your chief, friends or colleagues. 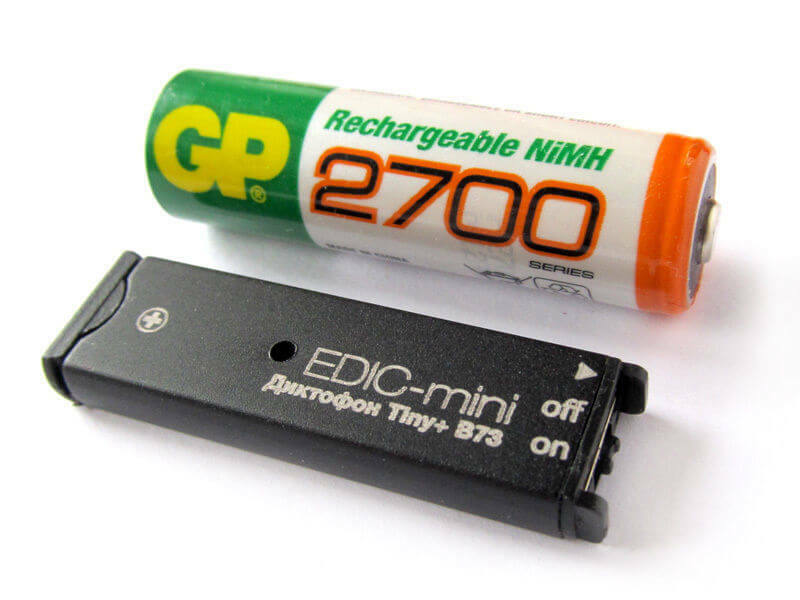 Edic-mini Tiny+ B73 this is new upgraded version of world-famous recorder Edic-mini Tiny B22. Tiny+ A76 has the same size, but at the same time many technological advantages and improvements was applied. This recorder has larger memory capacity, more clear recording quality, High-speed USB 2.0, modern software and many other benefits. Being extremely miniature, recorder supports all the technical characteristics of the Tiny+ series. 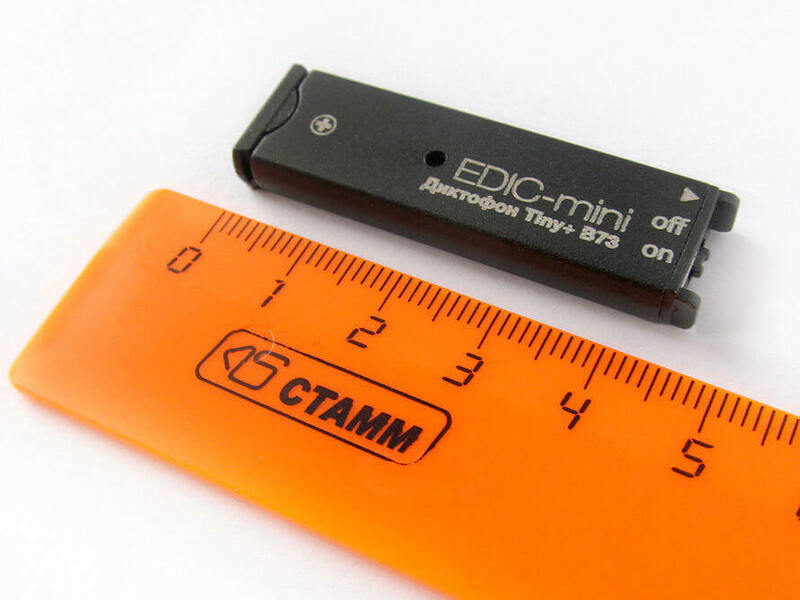 EDIC-Mini Tiny+ B73 can record from 150 to 1,200 (!) hours of audio recording in High Quality. B73 is powered from one LR43 battery. 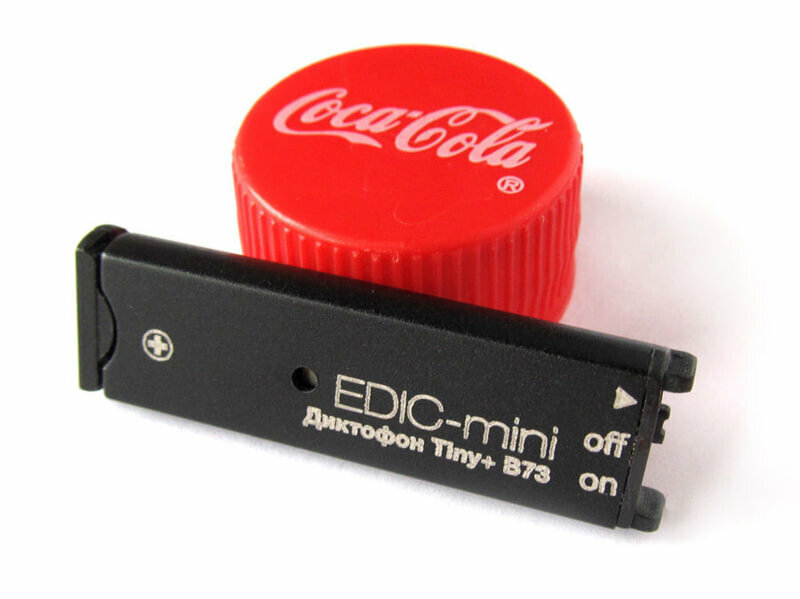 Edic-mini Tiny+ has high sensitivity microphone, a wide frequency range (100-10000Hz), and wide dynamic range. It couldn't be simpler to use! The device is easily and quickly activated using a slide switch. To upload the recorded data, use a shipped USB Adapter. So next time when you need to record class dictations, office meetings, or even covering the next big story, don't forget just push the button.